This is the SBBN entry for the William Castle Blogathon, hosted by The Last Drive-In and Goregirl’s Dungeon. Check out Goregirl’s page here for a full list of all contributors! William Castle was a solid B-movie studio director in the 1940s, responsible for films like Undertow (1949), The Whistler (1944) and The Saracen Blade (1954). It was in the mid-1950s when he turned his attention to more lurid television fare and carnival-barker style promotion that he found his niche, and by 1958, he had launched his own production company and the first of his heavily hyped horror films, Macabre (1958). For six years, Castle was the undisputed king of hype, directing films that were sometimes exceptional, sometimes cheesefests, but always entertaining. 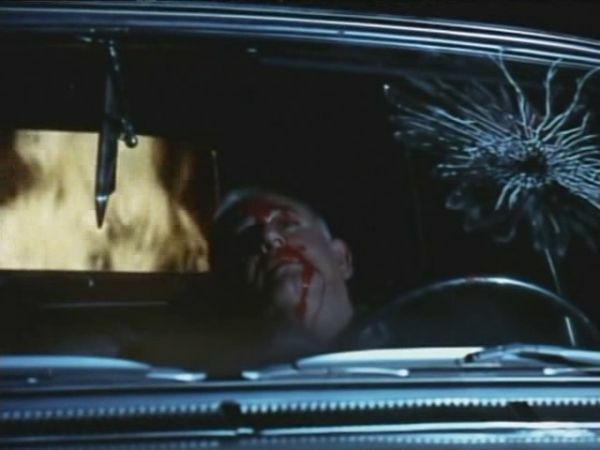 Movies such as The House on Haunted Hill (1959) and Strait-Jacket (1964) work because the promotional shenanigans were confined mostly to outlandish ad campaigns, and they are fine horror films in their own right. 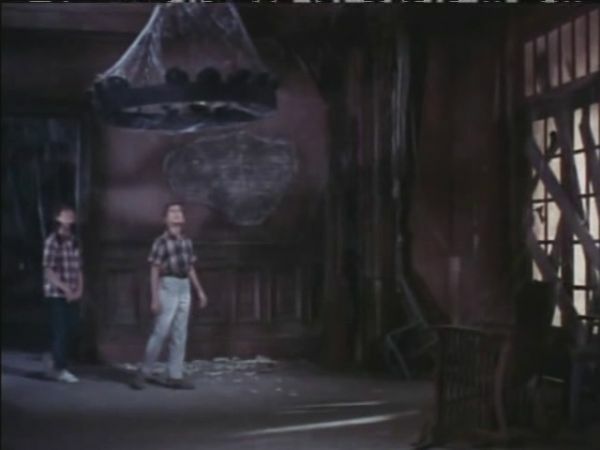 But movies like The Tingler (1959) and Mr. Sardonicus (1961) take great ideas and interrupt them with promotional bits within the film itself, which can often ruin the established cinematic atmosphere in favor of silly gimmickry. Castle was unquestionably more interested in commercial success and attention than in art, as well as having fun in a culture he often felt was too staid; as a result, his films were hits with teenage crowds. Just as he finished The Night Walker (1964), starring Hollywood luminaries Barbara Stanwyck and Robert Taylor, Castle decided to court a younger audience, primarily pre-teens. 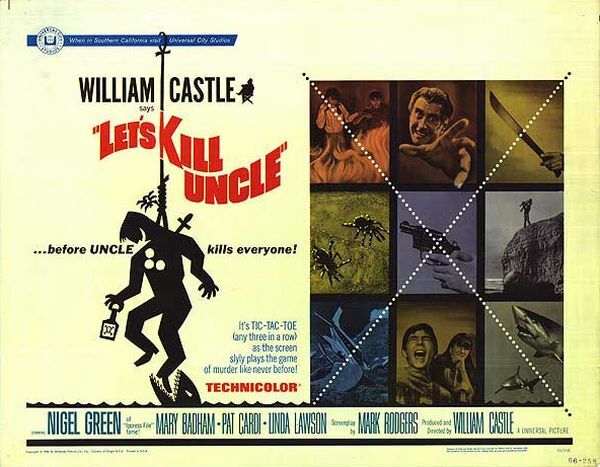 It must have seemed a good idea, combining Disney’s success with live-action films like That Darn Cat (1965) with light horror, but the end result, Castle’s 1966 film Let’s Kill Uncle, is the moment that his comparatively short stint in the spotlight took a significant hit. Barnaby (Pat Cardi) is left orphaned when his father, a millionaire industrialist, is killed in a car accident. 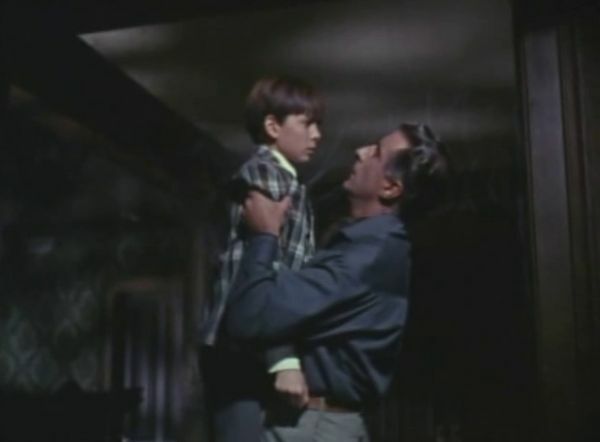 The boy is sent to Serenity Island, along with policeman Sgt. Frank Travis (Robert Pickering) as his guardian, to live with his war hero adventurer uncle, Major Kevin Harrison (Nigel Green). While traveling to the island, Barnaby meets fellow 12-year-old Chrissie (Mary Badham) on the ship. She’s being sent to live with her Aunt Justine (Linda Lawson) because her family life is in shambles. Barnaby and Chrissie don’t exactly hit it off, but Serenity Island is a small place, hardly inhabited after a brief heyday in the 1920s, and they are the only two children around. William Castle in a brief cameo as the corpse of Barnaby’s dad. Complicating matters is the level of brattiness Barnaby brings to the table. He’s constantly gloating about his wealth, famous father, more famous uncle, and does whatever he wants without concern for others. Soon after they get to the island, Barnaby is found rifling through Sgt. Travis’ things, digging out his loaded service pistol and playing with it. While he and Chrissie explore the island, he puts Chrissie in active danger on multiple occasions, and it’s only Chrissie’s smarts and adventurous nature that save her. Barnaby, on the other hand, doesn’t seem like the kind of kid who could rescue himself from a plastic bag hooked around his ankle. Chrissie and Barnaby explore an abandoned hotel on the island. Chrissie is played by Mary Badham, famous for her role as Scout in To Kill a Mockingbird. Badham suffered the same fate as many other child actors: Her adorable face matured, she grew taller, and she was quickly discarded for the newest cute kid actor on the block. It’s unfortunate, though, as Badham is clearly beyond the mediocre material given her in Let’s Kill Uncle. While Pat Bardi hams and stumbles his way through the film — that he didn’t eventually land a role on “Mayberry, R.F.D.” is a shock — Badham embodies the rebellious nature of a girl of a certain age, growing up without family and in a culture that is just beginning to appreciate women for their abilities rather than relegating them to narrow sociocultural roles. Badham, who seems subdued during much of the film, is terrific when scared by a shark in the small hotel pool, and you realize immediately that this was a fine actress whose talents were shamefully wasted. She is miles and away better than Cardi; her performance is striking, even raw, and it’s a delight to watch, though it makes much of the rest of the film as bland as unsalted Cream of Wheat. Shark in the pool? Or mechanized fin-shaped chunk of plastic attached to a motor? You be the judge. Chrissie has a right to be scared: Serenity Island is just sloppin’ over with peril. It’s full of uncharted areas and abandoned buildings, and because it’s somewhat tropical, there are snakes and tarantulas and sharks in the water. Also, Barnaby’s uncle is trying to murder the little tyke. Not that anyone in the audience would mind, of course, since Barnaby is the most irritating child since Tennessee Williams’ no-necked monsters, but murdering 12-year-olds is generally frowned upon. Yet Uncle Major, played with wide-eyed glee by Nigel Green, wants his brother’s inheritance all for himself, and devises a series of staged accidents whereby Barnaby will get eaten by a shark or fall off a cliff or something hilarious, thus the family money will revert back to Uncle Major. Let’s Kill Uncle embodies the fear of adulthood and the confusion kids feel when faced with the complex and conflicting decisions made by the adults in their lives, though this is all taken to a rather illogical extreme. Uncle Major informs Barnaby that he’s willing to play his attempt to do him in as a game, and lets Barnaby know exactly what he’s doing to give the kid a chance to kill him first. Uncle Major realizes quickly that Chrissie is a formidable foe, so he plans on doing her in, too, making his hoped-for end result look even more like an accident. Chrissie, to her credit, believes Barnaby when he informs her of his uncle’s nefarious scheme, and comes up with some really solid plans to try to defend themselves and get Uncle Major in an “accident” first. Nigel Green in a comedy chef’s hat is hilarious. Barnaby accidentally started this fire, further illustrating my point that it’s amazing the kid has survived this long anyway, and perhaps in a Darwinian sense, culling him from the herd should not be an idea left off the table. Meanwhile, the sitcom subplot of Sgt. Travis falling for Chrissie’s aunt Justine meanders along, a tepid version of what Annie and Mitch in The Birds (1962) must have been like before Mitch’s mother and Melanie’s lovebirds interfered. It’s perhaps tepid on purpose, as Chrissie and Barnaby are forced together out of necessity, and Sgt. Travis and Justine most certainly are as well. 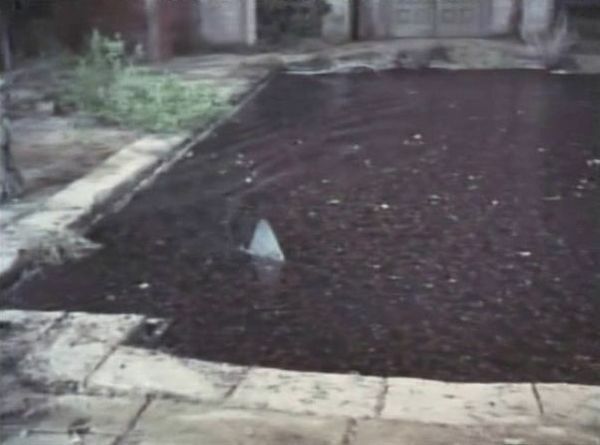 With all the sharks and alleged corpses and poisonous tarantulas, the true chill in Let’s Kill Uncle comes from the fact that everyone in this film has been abandoned. The children are only 12 and already on their own, and it’s seen in this movie as a common issue that many kids of a certain age have to navigate. Justine was also abandoned; it’s implied that her boyfriend had died or run off, though never fully explained. Sgt. Travis speaks only vaguely of a life at home, no spouse and no kids, no friends or cop pals he talks about, just one weak anecdote to show for several years on the force. 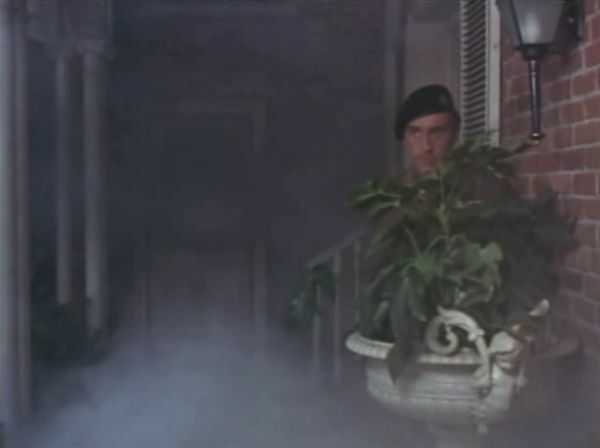 Uncle Major has gone completely starkers at this point, wearing his old Army uniforms and rushing up behind plants and obviously doing a kind of act, which works at first when you’re wondering if Barnaby is just being a spoiled little brat making up stuff about his famous uncle. When Uncle Major arrives, it’s clear he’s a man with a lot of power. He’s a white man of a certain age with a good reputation, with expertise in war and weaponry, and most of all is wealthy, despite his protestations. People do things for him and give him a benefit of the doubt that only someone of his particular socioeconomic status could enjoy. Uncle Major is the kind of guy who does the abandoning; he’s never around long enough to be abandoned, and if anyone ever left him it’s clear it would be on his terms, not theirs. Interestingly, Chrissie, by virtue of the implied tough life she’s had as a poor kid in a rural area, is far more prepared to handle the threat of a psychotic uncle given unlimited social status than Barnaby is. Uncle Major seems to recognize in her a threat, as someone from the next generation who will eventually be able to take down men like him. The plot, however, necessitates Barnaby be the one who wins out over his own uncle, so Let’s Kill Uncle never fully commits to the idea that a 12-year-old girl could outmaneuver a celebrated male soldier, though it comes tantalizingly close. 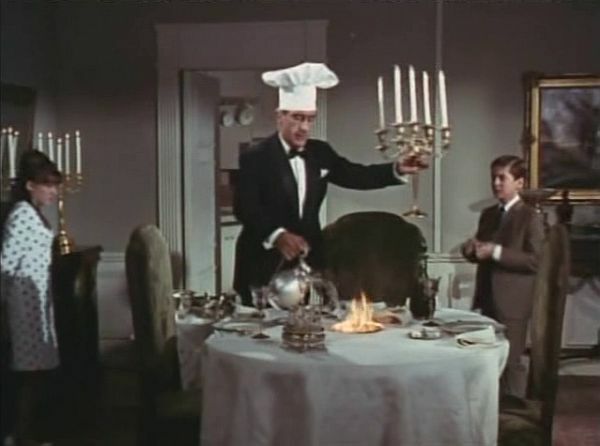 Ultimately, Let’s Kill Uncle is a kid’s movie, thus has all the dull bits that one expects from most children’s films of the mid 1960s. Like many of William Castle’s movies, it hints at something more under the surface that was left to languish in the service of gimmickry and commercial success. If there’s anything to truly complain about in a Castle film, it’s that he so rarely stretched his talent when it’s obvious that he had more to give American cinema. I can totally see the expression on her face too. I bet she wanted to knee him in the ginger bread half the time. Too funny. Thanks again for a really entertaining post! This was a Castle flick that I’d never seen until it showed up on TCM a couple of years ago. I was pumped when I set it up to record, but in the back of my mind, a tiny voice was saying, “if this was one of Bill’s better efforts, you would have heard about it and seen it by now!” Indeed, “lame” and “awkward” were the words that kept going through my mind as I was watching it. It’s awfully hard to pull off a kids’ movie that adults can enjoy and appreciate, and Bill was just not up to it in this case (and trying to get solid performances out of child actors is something that I marvel at — awfully difficult — why would anyone want to attempt it?). For me, Nigel Green’s madcap major partially redeemed the thing. I get what Castle and the writers were trying to do — he’s every kid’s dream AND worst nightmare. But it just doesn’t work overall. As usual, you got a chortle out of me — “Barnaby, on the other hand, doesn’t seem like the kind of kid who could rescue himself from a plastic bag hooked around his ankle.” A great review of an unfortunately mediocre movie! The entire film was awkward, that’s a terrific word for it. Every scene made me mutter, “Huh, yeah, I can see what he was trying for, but… nope, didn’t quite get there.” And I think the gimmickry Castle was known for bit him in the buttocks, because when you saw scary things you immediately wondered who was faking it a la Scooby Doo. There was no scare to be had, just curiosity as to who was faking it and maybe a brief moment of wondering why. I saw the movie when it first came out and haven’t seen it since and had fond memories of it. Oh well. Surely you’re not implying you had fond memories of it until this blog post? Well I still have fond memories, but now they embarrass ,e.
Heavens no. Never apologize for what you like. If you knew some of the stuff I thought was terrific you’d point and laugh at me. But I also don’t want to be a killjoy, so my official position is Never Let What I Say Ruin Your Fun! No mention of the novel of the same name (by “Rohan O’Grady,” e.g. Canadian cult author June Skinner) from which the movie was adapted? Stacia, I’ve been curious to see LET’S KILL UNCLE (BEFORE UNCLE KILLS US) for some time, even though it apparently didn’t live up to its hype. It sounds like it had the bones of a good kid-centric dark comedy, and Mary Badham is always worth watching even though her career was short-lived (wish she could’ve repurposed herself as she grew older. She needed a better agent! ), but it just didn’t come together. I’m always happy to see Mary Badham in any event. I loved your witty blog post, including the crack about Barnaby being unable rescue himself from a plastic bag around his ankle, and “Barnaby is the most irritating child since Tennessee Williams’ no-necked monsters”! Great job!